To friends and family, he was a maturing leader in the Muslim community, a passionate writer who was departing for Saudi Arabia for a career as a pharmacist. But the arrest of Tariq Mehanna in November, as he was about to board a plane at Logan International Airport for his new life in the Middle East, has cast the 26-year-old in darker terms, as a liar supporting and associating with terrorists. With an indictment in federal court, the Sudbury man faces a maximum sentence of eight years in prison on charges of lying to investigators in a terrorism inquiry. But a community of supporters has rallied around him, questioning how Mehanna could have been ensnared in a federal case and whether he is being used a pawn in the FBI's war on terrorism. "They're kind of painting the wrong picture of the Muslim community," said S. Ahmad Zamanian of Houston, a friend of Mehanna's. "Anyone who has met Tariq . . . would all tell you that this man is far removed from anyone's definition of a terrorist." Mehanna has been released pending trial after his parents posted more than $1 million in surety, including their sprawling Sudbury home. His lawyers, led by J.W. Carney Jr. of Boston, are challenging the case. But he is also fighting a separate battle to shed a stigma that has shadowed him since his arrest, as he faces scrutiny over his blog postings, his acquaintances, and his associations with people such as Daniel Maldonado, who later became the first American charged with terrorism activities in Somalia. Just as often as Mehanna's friends have defended him, others have referred to him as an "Al Qaeda blogger." His interpretations of Arabic passages - seen as poetic by some - have been taken by critics as a promotion of Islamic fundamentalism. "You can bet that the FBI arrest on relatively minor charges was taken because there was a reasonable fear that Mehanna was leaving the country to join or further support the jihad himself," said a blogger known as Rusty Shackleford, on the popular Jawa Report website he runs that monitors terrorism investigations. Citing the ongoing case, the FBI and federal prosecutors would not comment for this article, only referring to the federal indictment. It is clear that Mehanna did not help his case by openly supporting controversial figures such as Aafia Siddiqui, the Pakistani woman who was on the FBI's Most Wanted List before she was arrested last year on charges of shooting at a US soldier in Afghanistan. A 1995 MIT graduate, Siddiqui reportedly established ties with Al Qaeda during her time in Boston. In another example of questionable associations, some of the inspiration for Mehanna's writings were prominent fundamentalist figures such as Abdullah Azzam and Sayyid Qutb, who are considered significant influences by Al Qaeda and the Muslim Brotherhood, a fundamentalist movement. Mehanna does not dispute his support of Siddiqui, or the sources of his writings. But through his lawyer, Carney, he characterized such support as nothing more than following his own beliefs. He says he has never met Siddiqui but is concerned with the controversy surrounding her arrest, noting her supporters around the world have questioned how a frail woman could have managed to wrestle a weapon away from armed military men and shoot at a soldier, while getting shot twice, as is reported. Humanitarian groups have also questioned her mysterious disappearance and sudden arrest in Afghanistan, he noted. Also, through his lawyer, Mehanna questioned the characterization of the figures he cites in his blogs, saying they are considered "freedom fighters" by others, including those who supported Afghanistan's opposition to Soviet Union oppression two decades ago - a movement that was supported at the time by the US government. "You can take your inspiration from these leaders, and then others will characterize you, whether they agree with your actions or disagree," Carney said. Mehanna was not one to hide his devotion to Islam, and he seemed to be more dedicated to his religion as he matured from a guitar-playing high school student into a local leader who taught at religious schools and gave sermons during Friday services. He created a blog called Iskandrani, a name tied to his Egyptian ancestry, and was considered a leader to teenagers at the Worcester Islamic Center. He went under the name Abu Sabaya, which he translated as "Father of Children." 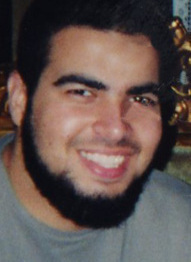 As he encountered others as devout as himself, Mehanna met Maldonado, a Massachusetts native who converted to Islam in 2000. Maldonado, also known as Daniel Aljughaifi, immersed himself in his new religion, wearing traditional Arab clothing and reportedly chastising anyone he considered to be a sinner, even criticizing Arabs who did not fulfill tradition by growing a full beard. The two met at a Lowell mosque some time around 2003. Maldonado eventually moved to Houston, where he worked for a website that had been criticized for its sympathetic views of terrorists. He uprooted with his family to Egypt, and then to Somalia, where he joined rebels who were trying to form a pure Islamic government. Mehanna, who in that time earned a doctorate degree from the Massachusetts College of Pharmacy and Health Sciences, spoke by phone with his old friend in December 2006 and he was invited to join in the fighting, authorities contend. Mehanna told Maldonado - who used code phrases such as "peanut butter and jelly," to say, "I'm here fighting" - that he should not say such things over the telephone, according to court records. Federal prosecutors allege Mehanna obstructed a terrorism investigation when he told FBI agents just days after the phone call that he had not spoken with Maldonado for weeks and that he thought Maldonado was still in Egypt. Because the FBI was conducting a terrorism investigation, the penalty of lying to the agency is more severe than similar charges of making false statements. FBI agents with a Joint Terrorism Task Force had reached out to Mehanna as early as October 2005, asking him about a trip a year earlier to Yemen, according to court records. Carney has said in court that the trip was for educational purposes. But he has suggested that the interview was a disguise of other political intentions and said that the agents were really trying to turn his client into an informant. When Mehanna would not assist investigators, Carney said, agents set up his client, asking him about Maldonado's whereabouts when they already had him under surveillance in Somalia, Carney said. After the interview about Maldonado, agents told Mehanna and his family - as recently as April 2008 - that they would file charges unless he cooperated, Carney has said in court. Carney said his client finished his school work, found a new career with attractive benefits, and was about to board a flight when agents arrested him - two years after the alleged crime. "At some point, he has to get on with his life," Carney said. According to terrorism specialists, the tactic of turning low-level suspects into confidential informants is nothing new. It has been more common with the FBI, as agents have had a lack of success infiltrating Muslim communities on their own because of scant understanding of the culture and a shortage of agents who speak Arabic, said Mathieu Deflem, a professor at the University of South Carolina and author on terrorism subjects. He added that the FBI will do anything it can in the war on terrorism to prove it is succeeding. But the strategy does not mean that the arrest of Mehanna was not justified, according to Jean Rosenbluth, a law professor at the University of Southern California, who said it was not a coincidence that Mehanna was arrested as he was about to leave for Saudi Arabia, which does not have an extradition treaty with the United States. The case has offended some Muslims who have seen popular leaders targeted for minor offenses in the war on terrorism. In the case of Mehanna, local leaders crowded his initial court hearings as a show of support, saying they feel as if their community has been targeted since the Sept. 11, 2001, attacks. Abdul Cader Asmal, a local leader and past president of the Islamic Center of Boston and the Islamic Council of New England, said the arrest of Mehanna was another setback for the Muslim community. Asmal said he cannot make a judgment on the arrest until the case is heard in court, but he added that the boy he shared Superman comic books with in Sunday school years ago deserved better treatment than to be arrested at an airport as he was about to start a new job. "Every time a Muslim is found to do something . . . he's treated as a common criminal," Asmal said. "And no one will stand up for the Muslim community."